Would you like to learn how to get better conversions with Facebook Ads? What if you could lower the cost of your ads and generate more quality leads in the process? In this article, I’m going to teach you how to maximize Facebook Ads conversions. It’s no secret, you can be successful with Facebook Ads. Did you know: #FacebookAds have a 35% lower cost per conversion than the average Internet ad! As a result, this makes them extremely attractive for business owners and marketers who are looking to advertise but don’t have a huge budget to work with. Where to start with Facebook Ads? Before you start creating Facebook Ads, you’ll notice there are a lot of types of ads that you can choose from. It is important to know about the different types of Facebook Ads because these are what you are going to select from when looking at your ads objectives. This will also impact the images you use in your ads, the amount of text, and the placement of your ads. Here is a breakdown on the different types of Facebook Ads. As you can see there are a lot to choose from. As I mentioned, each of these ads also has its own specific purpose. For example, if your goal is to generate website conversions to generate leads and online sales you would use page post ads. Once you have selected the type of Facebook Ad you want to run, be sure you also look at the bid types cheatsheet so you know what the different terms mean. Now that you have an idea on what types of ads available and the terminology, it’s time to start creating your Facebook Ads. Here’s a breakdown on the types of ads, the sizes you should use, and the purpose of each ad type. By now you’ve seen a lot of examples of businesses and brands using Hyperlapse by Instagram to create timelapse and stop-motion videos. You can view them here and here. Hopefully you’ve had a chance to experiment and use Hyperlapse yourself. Did you know there is also a secret Hyperlapse labs menu! In this article, I’m going to show you how to access a “top secret” Hyperlapse labs menu filled with a lot of powerful settings. What is in Hyperlapse labs? 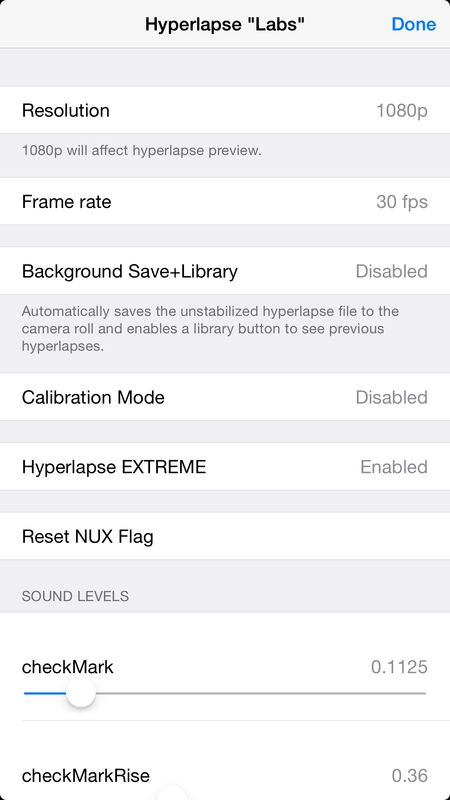 Hyperlapse labs includes a lot of very useful settings. Learn how to access the Hyperlapse labs secret menu where you can change the video resolution. To access Hyperlapse labs, follow these instructions. Do you know the difference between Facebook ad bid types like CPM, CPC, oCPM and CPA? Would you like to learn which bid type you should use to best optimize your Facebook ads in the self-serve Facebook Ads tool or Power Editor? Would you like to lower the costs you are paying for Facebook ads? In this article, I’m going to cover four Facebook ad bit types and how to select the right one when running Facebook Ads. Before you begin to run Facebook Ads, it is important to start with your Facebook ads objectives. Your objectives are what you want people to do when they see your Facebook ads. Some examples include getting people to like your Facebook Page and also to get people over to your website. By knowing your objectives and what you want to achieve, you can be sure you choose the right Facebook ad bid type to best optimize your ads and bring in the right people to your business. There are four Facebook ad bid types you need to know. Each of the Facebook ad bid types has a purpose and can help you with your objectives. If you want to get people to view your ads, this is the best bid type to use. If you are looking to get clicks on your Facebook ads, this is the best bid type. If your objective is to show your ads to people who are most likely going to take action, use oCPM. An example of this is if you want people to like your Facebook Page or click a link in your ad. You would use cost per action (CPA) is your goal is to get people to take an action on your ad or to convert. For example, if you want someone to like your Facebook Page or click on a link, you can specify a bid amount when an action occurs. Let’s take a closer look at each of the Facebook ad bid types in more detail. Are you trying to decide if you should use Facebook Groups or a Facebook Page for your business? Do you want to know if you can charge someone to join your Facebook Group without violating Facebook’s terms of service? These are just some of the questions I get asked about for Facebook Groups. This article covers some of the common questions and answers about Facebook Groups. Do you find that your role as a marketer has changed? Are you wearing more hats and being asked to perform work that falls outside of the scope of your job? As a digital marketer, you need new skills to help you stay ahead of the curve. In this article, I’m going to cover 7 digital marketing skills you need to succeed! Previously, there were individualize positions within most businesses to manage analytics, social media marketing and technical skills such as coding a website. As digital marketer, more and more companies are asking you to be a jack-of-all-trades and to know a little bit about these areas. While they aren’t asking you to takeover someone else’s job, they do want you to be familiar with other areas. This way when you’re working with digital media, you’re also thinking about the bigger picture and how this affects different parts within the business. Let’s take a look at some of the digital marketing skills you will need. Did you create too many Facebook unpublished posts in Power Editor? Do you find it difficult to locate ads in Facebook Power Editor? In this article I’ll show you how to delete a Facebook unpublished post or dark post. This way you can spend more time creating Facebook Ads instead of scrolling through ones you no longer need! 10+ Hyperlapse examples to boost your Instagram marketing efforts! Have you ever wanted to know how to create time lapse videos? Previously you needed a lot of expensive equipment in order to create your own. Recently, Instagram launched a free tool called Hyperlapse that eliminates the need to spend a lot of money on equipment and allows you to create time lapse videos using their app and your iPhone. A lot of brands have started experimenting with the Hyperlapse app to come up with exciting content to engage with their audience on Instagram. In this article I’ll share with you some Hyperlapse examples that you can use in your own Instagram marketing efforts! 10+ Hyperlapse examples to help brands improve their Instagram marketing efforts! Let’s take a look at some examples of how brands are using Hyperlapse. Continue reading 10+ Hyperlapse examples to boost your Instagram marketing efforts! Was there a Facebook Page you blocked because they were posting too much? Maybe they were spamming your Facebook Page with unnecessary comments. The good news is that if you ever have a change of heart, you can unblock Facebook Pages. In this article you’ll learn how to unblock Facebook Pages so you can start interacting with a Facebook Page again through the news feed, wall posts, comments, and messages. Break-up to make-up: How to unblock a Facebook Page and renew your relationship again! Why unblock a Facebook Page? A lot of times, we block Facebook Pages because we are receiving unwanted comments, messages, or wall posts. For some pages, you absolutely need to block them because they are out to cause your page harm. Other times, you may come across a situation where you need to temporarily block a Facebook Page. This typically happens if you have a page that may not understand the rules of engagement on Facebook. If this happens, you may want to temporarily block them and then reach out to the owner of the page through their Facebook Profile. This way you can go over the situation with them and in most cases, give them a warning. A good way to do this is to let them know while you appreciate their interactions on your Facebook Page, you will unblock them if they tone things down. I recommend setting the expectations for them and provide examples of what you would like them to tone down. This way you can feel comfortable knowing they know what they need to do in order for you to unblock their Facebook Page. If you have reached this point with a Facebook Page where you want to unblock them, follow these instructions.